The sushi served at Kempinski Seychelles Resort is rumoured to be the best in Seychelles and attracts visitors from across Mahé who are eager to enjoy our authentic Japanese creations. 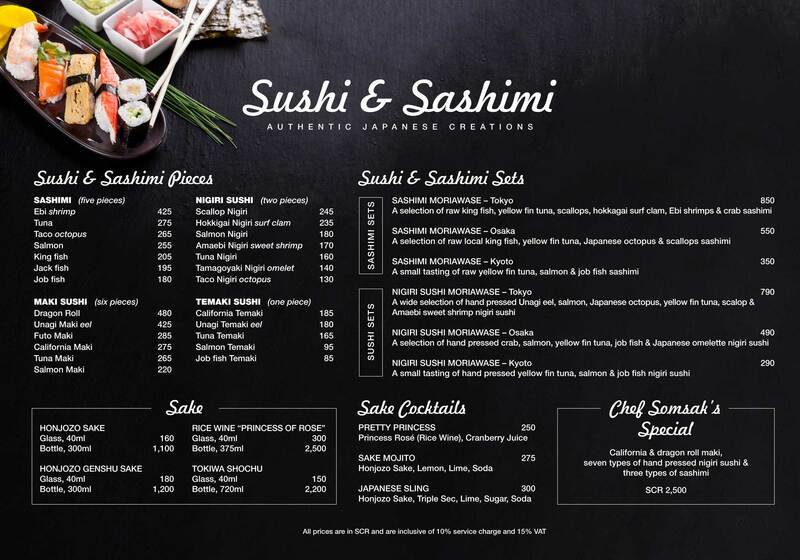 Our extensive menu, which includes sashimi, nigiri, maki and temaki, has been carefully developed by our resident sushi-master, Chef Somsak Saytip, under the guidance of our Japanese general manager, Masami Egami. Available in sumptuous sets and as individual pieces at all three of our à la carte restaurants, our sushi is best complemented with a glass of premium-label sake or one of our unique sake cocktails. It tastes even better when served directly on the beach at a private table set for two - Sushi on the Beach is one of our most popular private dining experiences. For more information, or to make a reservation, kindly contact us at restaurants.seychelles@kempinski.com or on + 248 438 6666.